PCSAT SPECIAL EVENT! 12 December commemorated the 100th anniversary of Marconi's transatlantic Radio transmission and the 40th anniversary of the first Amateur Satellite OSCAR-1 launched on 12 Dec 1961. In recognition, PCsat heralded the event around the world by transmitting Marconi's letter "S" and OSCAR-1's "HI HI" once every 3 minutes in Morse code in its downlink. Hear what KR1ST copied. In addition, USNA EE students were at St Johns in Newfoundland with their vintage 1901 receiver and successfully heard the spark gap transmitter from Poldu, Cornwall, UK. To show 100 years of progress, we also operated our portable satellite terminal via PCsat and ISS and other amateur satellites to make several contacts across the atlantic. Here is what it looks like on top of signal hill at St Johns (in the summer without the 80km freezing winds and snow we had!). Here is a Map of Signal Hill complements of VE6KJ. See LIVE Camera from the tower. Link to the SONRA Radio Club in St. Johns Newfoundland. Here is a Link to Poldu Amateur Radio Club in Cornwall, UK. In addition, the USNA/Washington University joint Satellite also transmitted around the world voice messages commemorating the event. (recording). PCsat, a Prototype Communications Satellite, is a US Naval Academy Aerospace student project designed to give students real hands on experience in satellite design and operations. The project was funded by the Naval Academy, and a Grant from Boeing Corporation, and the launch was secured through the DOD's Space Test Program in cooperation with NASA. 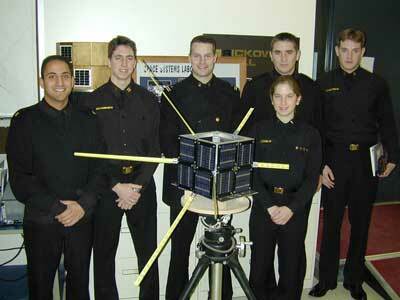 The project is the first of the USNA Small Satellite program under the guidance of LTCL Billy Smith and supported by the Satellite Project Engineer, Bob Bruninga, WB4APR. The mission, to fit within the ITU regulations for operations in the Amateur Satellite Service, is to provide mobile and Handheld Satellite digital communications for amateur satellite operators worldwide using the Automatic-Position-Reporting-System (APRS). PCsat augments the terrestrial APRS system (See LIVE map) with a flying worldwide Relay to extend APRS coverage globally. 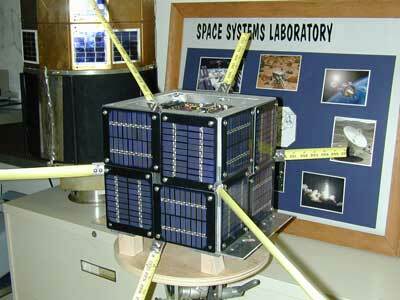 To see those users relaying their data via PCsat only, see Steve Dimse's PCSAT.APRS.ORG. For those remote areas of the world where there are no IGates in the same footprint as the wilderness or arcitc traveler, PCsat also has a limited Emergency Status and Reporting (SAR) capability that can be used by a few such travelers. Launch was at 0240z 30 Sept 2001 from the Kodiak Alaska Launch Complex. You can easily track PCsat with any tracking program as NORAD object number 26931. or try Heavens-above.com . User Services: PCsat was activated for users as of 1930z on 3 Oct and demonstrated (photos) at the 2001 AMSAT Symposium in Atlanta, GA on 5 Oct. Please note that due to frequent resets to SAFE mode on orbit, as of 12 Oct we made a temporary change to normal operating procedures to permit users to digipeat via the SAFE mode callsigns of W3ADO-1 and W3ADO-2. Thus, whether it is in SAFE mode or not, the settings will not change for user uplinks. Users should read and affirm the PCsat User Service Agreement. PCsat is a unique design with NO CPU other than two TNC's, and a unique mission for everyone. In this context it is different from all other amateur satellites. We hope you will adhere to the User Service Agreement (1 packet per 2 minutes maximum for now) so that as many people as possible get to operate via PCsat reliably. APRS is the Automatic Position Reporting System that the Naval Academy uses for tracking its boats and a variety of other vehicles and networks using the APRS Automatic Position Reporting System . The Satellite described here in would be operated under the rules of the Amateur Satellite Service and the rules of the FCC. Although the satellite would be developed as a proof of concept for the Naval Academy, it would be available for all radio amateurs and their vehicles. You are visitor: since 24 Sept 2001. [was 2470 on 20 July before the old counter broke].